Replacing a faucet or toilet seat are both common, minor improvements many of today’s homeowners tackle themselves. However, major bathroom remodeling typically requires a much higher level of skill and should be left to the professionals. A bad remodeling project can be very expensive to repair, so the best decision is to hire a bathroom remodeling contractor from the very start, who will do the job right the first time around. 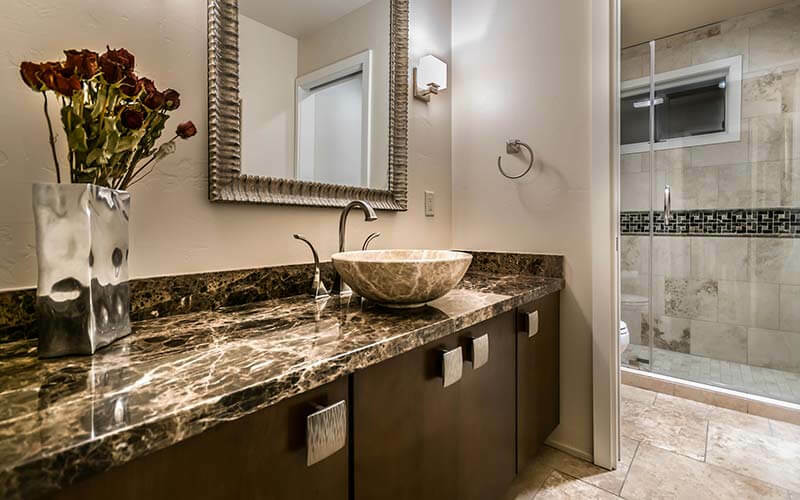 Additionally, a professional remodeler will have the necessary experience and skills to remodel your bathroom to your personal specifications. You’ve likely already combed through pictures online or in home improvement magazines for remodeling ideas. 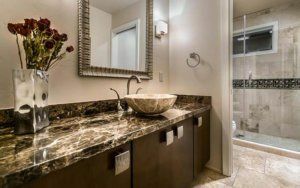 If you know what you want your remodeled bathroom to look like and have compiled ideas, be sure to share them with any prospective remodeling contractors. Similarly, if you already know what kind of fixtures you want, or you have ideas for specific paint colors or hardware styles, keep a list of these items to share, as well. The key is to understand the importance of truly knowing what you want before you ask a contractor to put a price tag on it. Remember: stay consistent with your plan when you ask for quotes. Otherwise, it will be difficult to compare various prices. At Republic West Remodeling, we strongly believe that referrals are the best way to track down an experienced, reputable bathroom remodeler. So, if your friend, coworker, family member or neighbor was recently satisfied with a remodeling project, ask them for their contractor’s contact information so you can also reach out to get an estimate for your project. Finally, when you’ve narrowed down your options, be sure to contact several remodeling contractors and arrange for them to come to your home to give you estimates in writing. Make sure that any contractor you meet with is licensed, insured and offers a guarantee on his or her work. If you speak with several contractors and have multiple estimates, you definitely have a big decision to make. We understand. And while it might be tempting to go with the cheapest option, remember to consider other variables that will play a part in your overall project. Ultimately, it’s best to choose the company that truly understands your needs, can address your concerns, be a trusted advisor to you if something goes wrong and will work with you collaboratively. For more information about local bathroom remodelers, call Republic West Remodeling today to schedule a free consultation.